It's classic, elegant, and glam! 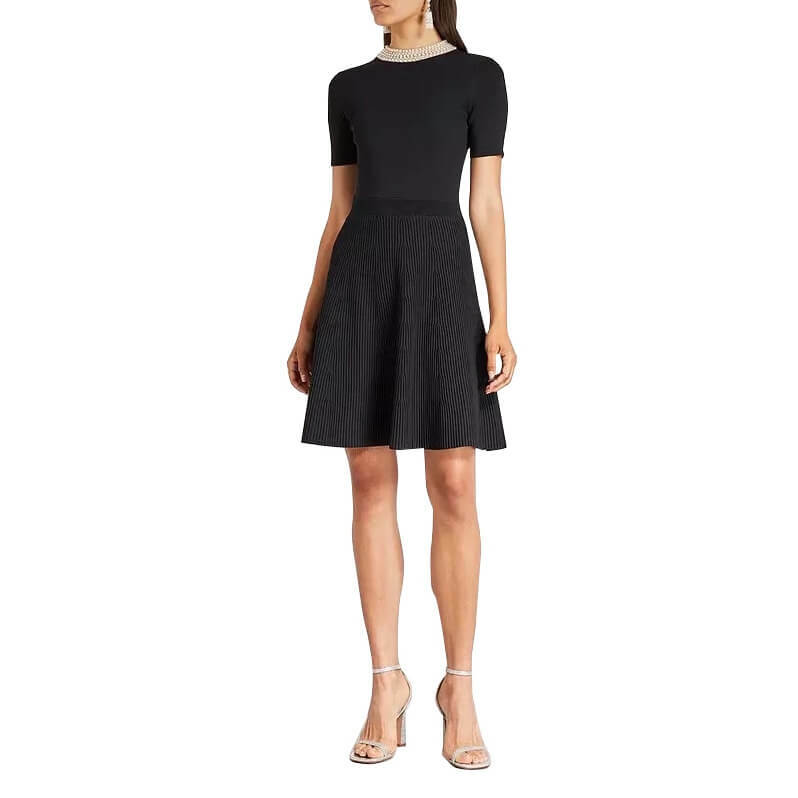 This Sandro Uigi Jewelled Collar Short Knit Dress is a timeless party look featuring a pearl-bead embellished contrast collar, short sleeves, and a fit & flare silhouette at mini length. 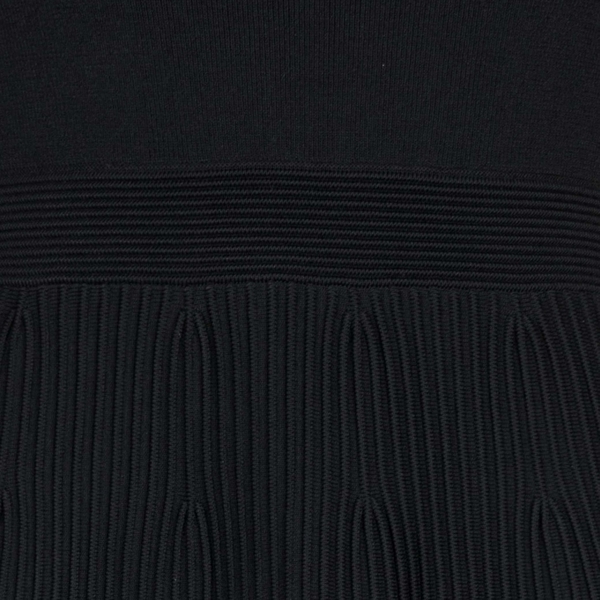 The pleated knit skirt infuses it with a textural edge. 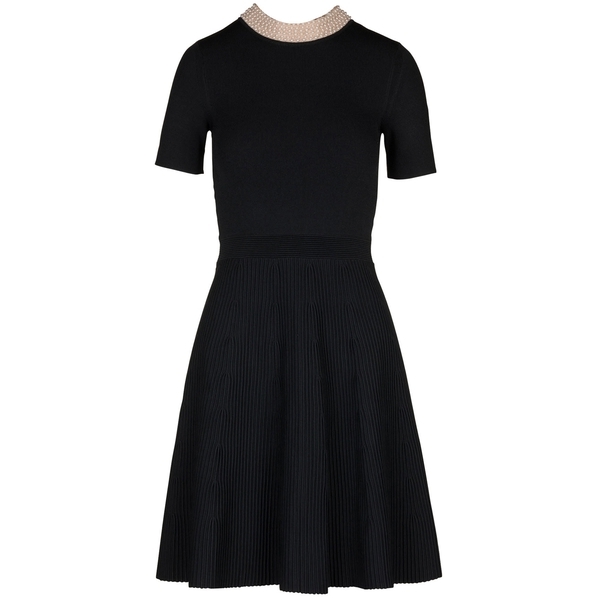 Add it to your easy-to-wear cocktail dresses. 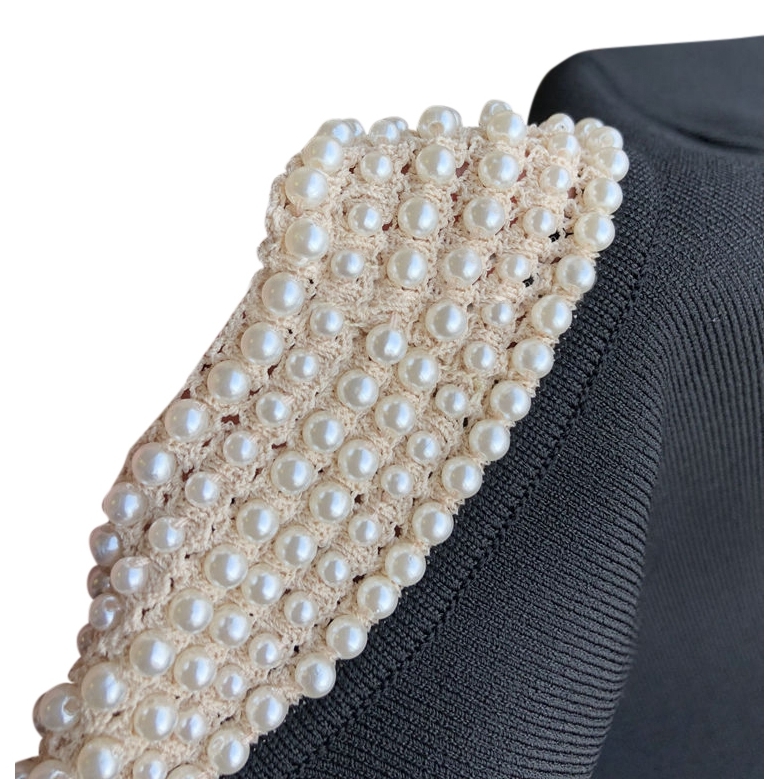 You can wear it with high heels, a box clutch, and fancy earrings on special occasions. Style it with kitten heels, a top handle purse, and a classic coat for day-to-evening sophistication. 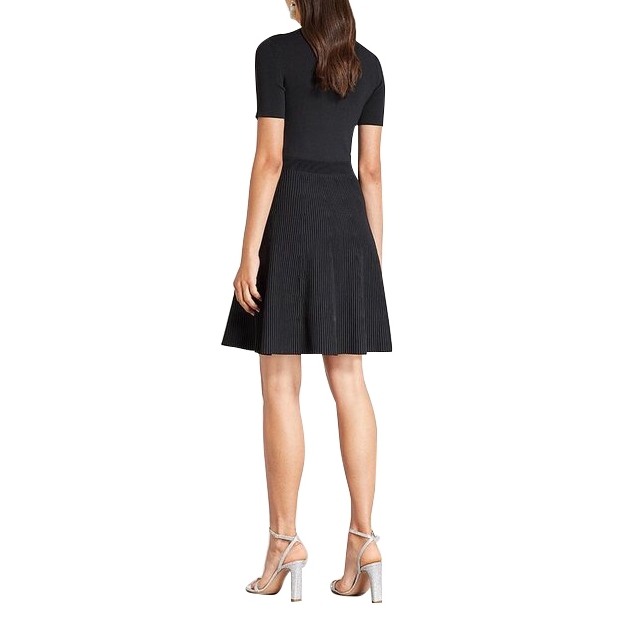 Dress it down with ballet flats or brogues, a satchel or tote, and a trenchcoat.